The neocon-driven wars in the Middle East have unleashed a demographic tidal wave on Europe, the arrival of refugees from Syria, Iraq, Afghanistan, Libya and other war-torn countries. Despite political resistance, this flood inevitably will reshape the Continent’s ethnic character, says Lawrence Davidson. If you were transported back to Europe in 1900 and asked educated citizens to describe the ideal political arrangement, what they would outline to you is a homogeneous nation-state: France for the French, Germany for the Germans, Italy for the Italians, and the like. They would note exceptions, but describe them as unstable. This standard of homogeneity started to break down after World War II. After this war, the foreign empires run by many of Europe’s homogeneous states were in retreat and in their wake came a slew of new nations in Africa, Asia and the Middle East. Simultaneously, the impact of the end of empire on the European nations was to have their own homogeneous status eroded. For instance, when Great Britain set up the Commonwealth as a substitute for empire she allowed freer immigration into England for Commonwealth citizens. The result was an influx of people of color from former British colonies in Africa, India-Pakistan and the Caribbean. A similar thing happened as the French empire crumbled. With its demise many North Africans, as well as Vietnamese Catholics, went to France. Later, Turks would go to Germany, a preference that reflected the close relations between Berlin and the defunct Ottoman Empire. 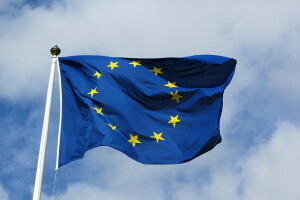 Then came the formation of the European Union (EU) in 1993, which facilitated the flow of labor across European borders. 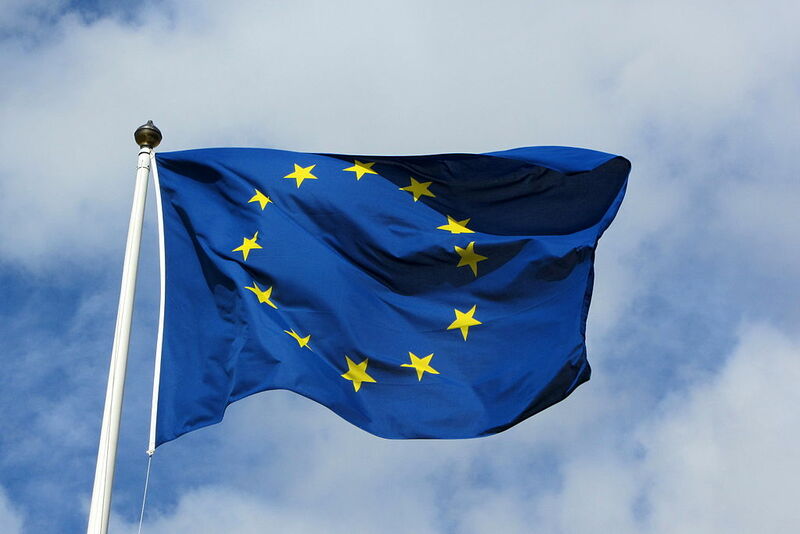 Now citizens of one EU state could go and work in any other member state. In other words, the 20 or 30 years following World War II marked the beginning of the end of the Western homogeneous state. Now we may be witnessing the final stage of that demise. The present refugee crisis resulting from wars raging in Iraq, Syria, Afghanistan, Yemen and Libya, among other places in the Middle East, has set in movement millions of displaced people. Many of these refugees are heading for Europe. While initially most of the European Union leaders showed some willingness to take in substantial numbers of refugees, strong resistance from Hungary, Romania, Slovakia and the Czech Republic caused a pause in the effort. This was a predictable moment. All established populations, even relatively diverse ones, fear that their cultural norms and economic advantages will be threatened by large waves of new immigrants. At the extreme, one finds ideologically and religiously defined nations such as the Arab Gulf states and the allegedly Westernized Israel (itself a product of an overwhelming refugee invasion of Palestine) refusing to take in any of the present refugees. Even in a country such as the United States, which is historically built upon the inflow of diverse populations, it is politically difficult to open borders to new refugees in need. Initially, announcing a willingness to allow an embarrassingly small number of 10,000 refugees to enter, Washington has increased that to 100,000 between now and 2017. Getting back to the European scene, the pressures now building on the borders eventually resulted in a EU decision, allegedly binding on all its 28 member states, to speed up the intake screening process for refugees and distribute the accepted numbers across the EU countries. How many will ultimately be allowed into Europe is still unclear. If the leaders of Europe are smart about it they will go beyond merely symbolic numbers. If they are not, then there will be concentration camps on their borders and eventual violence that will mark a dark period in their supposed civilized histories. Controlled or not, in the end, many of the refugees will probably find a way in. There is ironic justice in this prospect. After all, the wars that have uprooted so many were triggered by Western intervention in the Middle East. One can thank George W. Bush and his neoconservative colleagues (along with British allies) for the 2003 invasion of Iraq. That action set loose the forces that have subsequently displaced the people who make up the bulk of today’s refugees. To this can be added the 2011 NATO intervention in the civil war in Libya, in which France, Italy and the U.S. led the way. This action has prolonged the anarchy in that country and is one of the reasons that 300,000 people attempted to cross the Mediterranean Sea in the direction of Europe in 2015 alone. At least 2,500 of them died in the attempt. It is a testimony to the fact that the average citizen has little knowledge and less interest in their nation’s foreign policies that few in Europe and the U.S. recognize, much less acknowledge, responsibility for the present disaster. The population in western and central Europe has been shifting in the direction of diversity for the last 70 years, and that of the United States more or less consistently since the nation’s founding. Along with diversity comes a complementary, if perhaps more gradual, shift in culture. Opposing this historical trend is the fact that anti-immigrant resistance among established national populations is almost a default position. However, this is like spitting in the wind. In the long term, the evolution of populations moves from homogeneity to diversity. It is just a matter of how long the process takes. Thus, from every angle, ethical as well as historical, the way to approach the present refugee crisis is to allow, in a controlled but adequately responsive way, the inflow of those now running from the ravages of invasion and civil war. In so doing we should accept the demise of the homogeneous state. Whether it is Germany, France, Hungary, Israel or Burma, the concept is historically untenable and neither raises nor even maintains our civilizational standards. Rather it grinds them down into the dust of an inhumane xenophobia. Mr. Davidson: I have enormous respect for your analyses on consortiumnews. In the case of this essay, I think you’ve neglected a very important aspect of the problem facing European nations: the influx of Muslim religion. Germany’s offer to take 800,000 immigrants is probably not altruistic, nor is Saudi Arabia’s offer to build 200 mosques in Germany, and it is absurd to imagine that many of the refugees or migrants do not have a bone to pick with the European states and the US. They are not fleeing repressive governments. they are fleeing wars instigated by the western powers. As the US dreads jihadists crossing over the border from Mexico and Canada, how many tens of thousands are in fact flooding into Europe, and what percentage is Sunni? And even if the majority are Shiite Syrians, is it not a very good idea to help them entrench in Europe? This orchestrated “migration” is a cynical response to the desire European peoples expressed during the 2014 European Parliament elections. In spite of daily brainwashing, citizens voted to strongly reject 1) the national political elite imposed, mass immigration of culturally different origin and 2) their supranational handlers, the EU bureaucracy & troika that has since proven to be NATO’s political window. A paragon of global governance, bureaucrat Peter Sutherland, UN special representative for international migration candidly twitted it: “The EU was never “all about trade”. From the beginning it was about integrating peoples. (…)”. We have been served! It is not willful ignorance â€“ MSM agitprop cannot be blamed on us- or lack of interest from average citizens of Europe that has allowed those American games to be played. Their unfolding has been and is a testimony of the rot within the institutions and their servants, we citizens of Europe have been left with. Thanks to whom? If one could mop the floor with the present French President and dress the calendar of his submission one plane crash at a time, his predecessor betrayed the people’s “NO” during the Lisbon Treaty referendum and reintegrated France into NATO. With friends like them, citizens do not need enemies. This willful destruction of European culture and peoples is a crime and only serves one country’s world hegemony ambitions: yours. We witness, in this refugee crisis, another amalgamation/assimilation of diverse cultures. Is this a form of evolution or of dissolution/distillation of People Groups? Majority humanity on earth are people of color, yet European birthed Cruel Colonial Authority maintains political, military and economic control over vast billions of Human Lives. With that, they’ve Never shown any law abiding compunction to honor Life over the accumulation of wealth – even at the cost of Lives. (to the victor goes the spoils (of Conquest). Five Hundred Years beyond Magellan’s circumnavigation established European Authority (superiority) over the earth and there has never been essential peace. Yes,Dore Gold and the Zionist instigators are rubbing their hands with glee,as this will help them in their divide and conquer Yinon plan. The last five sentences of Professor Davidsonâ€™s essay help to define right wing nationalistic leanings. Sarah Palin and the birth of Tea Party politics and/or the explanation of Donald Trumpsâ€™ (so far) lead in GOP Presidential polls. Our ballyhooed â€œExceptionalismâ€ is the Albatross around our necks. The sooner we, as a nation, take to heart these Refreshing words of Pope Francis: â€œWe, the people of this continent, are not fearful of foreigners, because most of us were once foreignersâ€ â€“ the sooner weâ€™ll be Re-United (or More united?) as a nation. We must first eschew the â€œLetâ€™s take our country backâ€ ethos that is so very divisive. There must be, as MLK suggested, â€œA Revolution of Values.â€ A deep, objective study of his â€œBeyond Vietnamâ€ speech has been too long neglected. It offers many a solution out of this long National descent into disunity and loss of positive direction. â€œGiving heed to seducing spirits and doctrines of devilsâ€ â€“ as Apostle Paul described. Thank you, Professor Davidson. I hope your essay reaches many, many hearts and minds. Dear Lawrence Davidson, hopefully you’ll leave the keys under the doormat and let us redecorate your house and change its rules. You should not see any inconvenience to this since you advocate it for others. Poor old Europe–paying the price of being America’s lapdog. White countries are destroying themselves.